← Brevity is the soul of wit ….um… but feel free to talk more. Sorry it is just another quoting! 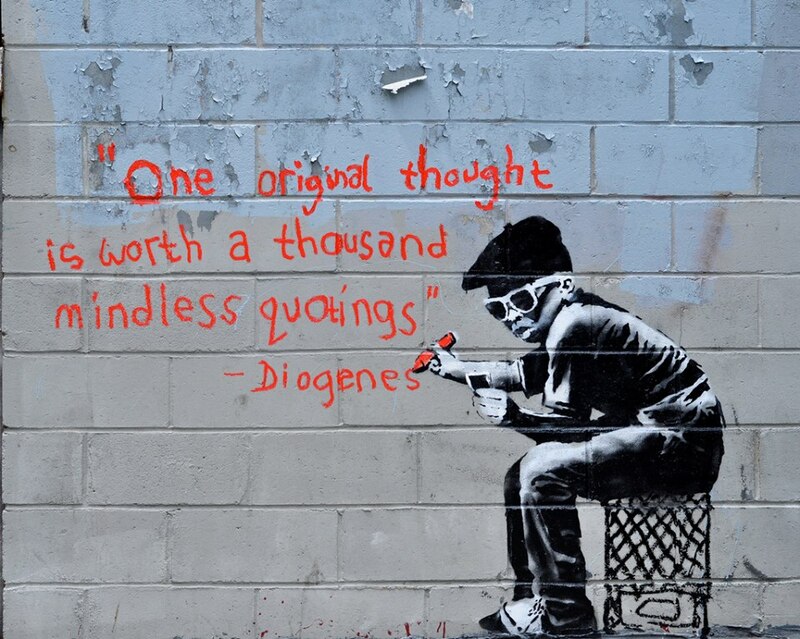 Image | This entry was posted in Uncategorized and tagged art, authenticity, banksy, Diogenes, graffiti, imitation, irony, life coaches, originality, quote, street. Bookmark the permalink.